Retail inspections used to be a clumsy affair, from the amount of paper that had to be carried around and then stored to the lag time between an auditor performing the inspection at a retail location and a manager actually reading it. Paper forms were the norm in retail inspections. 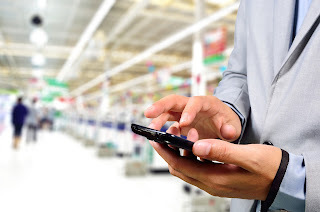 The use of retail inspection software means that auditors fill out forms on their smartphones or tablets. Not only they paper forms had to be carried around, but they also had to be transcribed. Retail inspection software allows managers to create custom electronic forms with selection fields, photos, and signatures, and the data is synchronized automatically. This means that there is less room for misunderstanding questions from a paper form as well as less errors while transcribing the forms into a database. It could take hours, or even days, for an operations manager at a central office to be notified of a potential problem detected during a retail inspection. From the time they left the retail location, inspectors had to log the data into a system - or worse, fax the form to someone who would do that - then the data had to be compiled, analyzed and sent to the appropriate stakeholder. Retail inspection software makes it possible for management to have real-time access to inspection results, and to act almost immediately to correct any issues. Paper forms can get lost or misplaced, and storing data on company equipment and servers has its own security challenges. Most retail inspection software store data on the cloud, meaning that collected data will be safe with the latest security and encryption technologies. Sign up today at www.visitbasis.com and start building your retail inspection software solution for free. VisitBasis mobile app is free for any number of users and can be downloaded from Google Play and App Store.